In a few years, T riders will find they will have only two options at the farebox — plastic or silicon. If the future of money is a cashless economy where all transactions are done electronically, some of us will get there by bus. Or train, or subway. 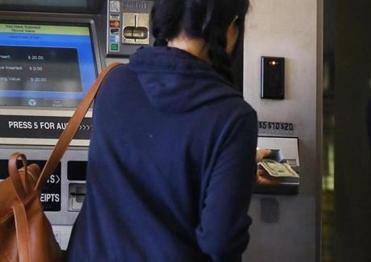 The MBTA said it is ready to move forward on a plan to ban the use of cash and have riders pay by some not-so-new-tech methods, ranging from smartphone apps to wave-and-go credit cards. In use in other parts of the world, these options haven’t been embraced by American consumers. But that will begin to change in a few years, when T riders find they will have only two options at the farebox — plastic or silicon. As the T and other public transit systems worldwide move to digital payment systems, I expect consumers to become more comfortable using electronic payments for nearly everything they buy. When we get into the habit of unlocking a Red Line entry gate with a tap of an iPhone or a Visa card, we’ll probably start doing the same thing at the supermarket. Right now about 18 percent of commuter rail passengers pay cash for their tickets, and 7 percent of bus passengers. But even that small minority can be a nuisance, said MBTA chief technology officer David Block-Schachter. On buses, for example, cash-paying riders often recharge their CharlieCards at boarding, usually under the gaze of other passengers furious about the delay. “It takes an incredibly long time,” said Block-Schachter. So when the new system kicks in during the second half of 2020, the T will deploy vending machines in currently underserved areas, but riders will have to charge up their CharlieCards before they board. And yes, these machines will still accept cash. Ditto for those cash-wielding commuter rail riders. 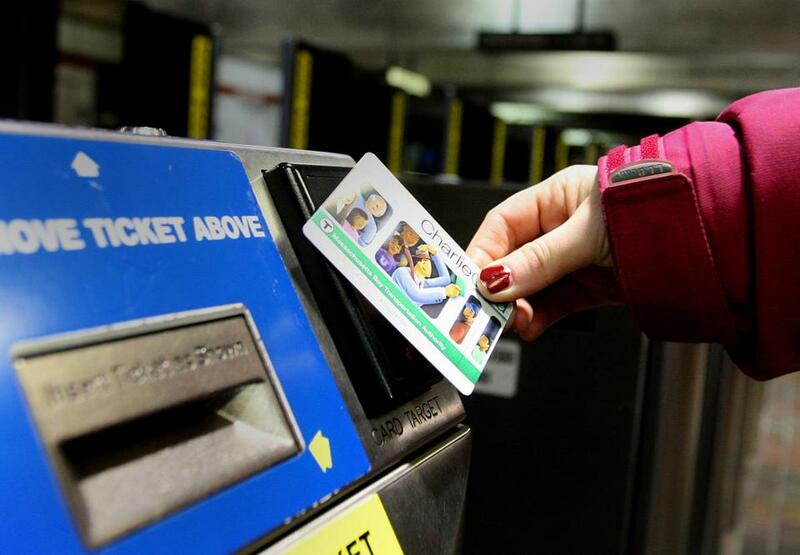 When the new system kicks in during the second half of 2020, the T will deploy vending machines in currently underserved areas, but riders will have to charge up their CharlieCards before they board. All T riders will also get the option of using a smartphone “mobile wallet” like Apple Pay, Android Pay, or Samsung Pay. Passengers would simply tap their phones against a compatible terminal to pay the fare. It’s an excellent option for tourists, who will no longer have to fuss with a T vending machine before every ride, or obtain a CharlieCard they’ll never need again. My native city of Chicago installed a similar system years ago, and I use it with pleasure whenever I’m back for a visit. The T’s fare terminals will also recognize a different kind of credit card popular elsewhere, but nearly unknown in America. Instead of using a magnetic strip, like the old swipe cards, or an embedded data chip, these “contactless” cards work like Apple Pay. They use a tiny radio transmitter chip that broadcasts data over very short distances — just a few inches. That’s close enough to make a purchase just by waving the card over a payment terminal. There’s no need to enter a PIN number or sign anything. Contactless cards can only be used to make small purchases — $20 to $30 max, limiting the owner’s risk if the card is stolen. Cards like these have been around for at least a decade. But until recently it’s been pointless to have one in the US, because hardly any retailers were equipped with compatible payment terminals. That same problem has hampered Apple Pay and other smartphone payment systems. Apple Pay has been available for nearly three years, yet according to the latest numbers from Apple, only about 36 percent of US retailers accept it. That would explain why few iPhone owners ever actually use it, according to the trade publication Pymnts.com. Other smartphone payment systems have posted similarly dismal results. And after a failed attempt to introduce contactless cards to the US over a decade ago, they’re almost nonexistent on this side of the Atlantic. 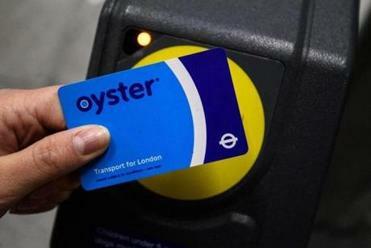 The London public transport system started accepting contactless cards in 2012. But what will happen when thousands of people begin using these methods every day, to get on the subway? Probably a modest version of what happened in the United Kingdom, after the London public transport system started accepting contactless cards in 2012. At about the same time, retailers began installing contactless terminals. Not much happened at first, but then contactless payments took off. By last year, one of every five credit card purchases in the UK was made with a wave-and-go card. And London’s transit system appears to be running just fine three years after banning cash on its buses. It’s possible that public transportation will be the “killer app” of the cashless society, the first use of digital payment technologies in the US that will appeal to millions of ordinary consumers. Right now, Apple Pay is a toy for geeks and contactless cards are rare as hen’s teeth. Both technologies work just fine, but people have been waiting for a good reason to use them. And the bus is on its way.